Luton remain the top-rated team in the division but Wycombe continue to close the gap and look increasingly likely to make the final top three. Coventry and Exeter meanwhile appear to be stalling. Forest Green have definitely turned a corner, although their improvements have been far more modest than the poor performances that got them into this mess. 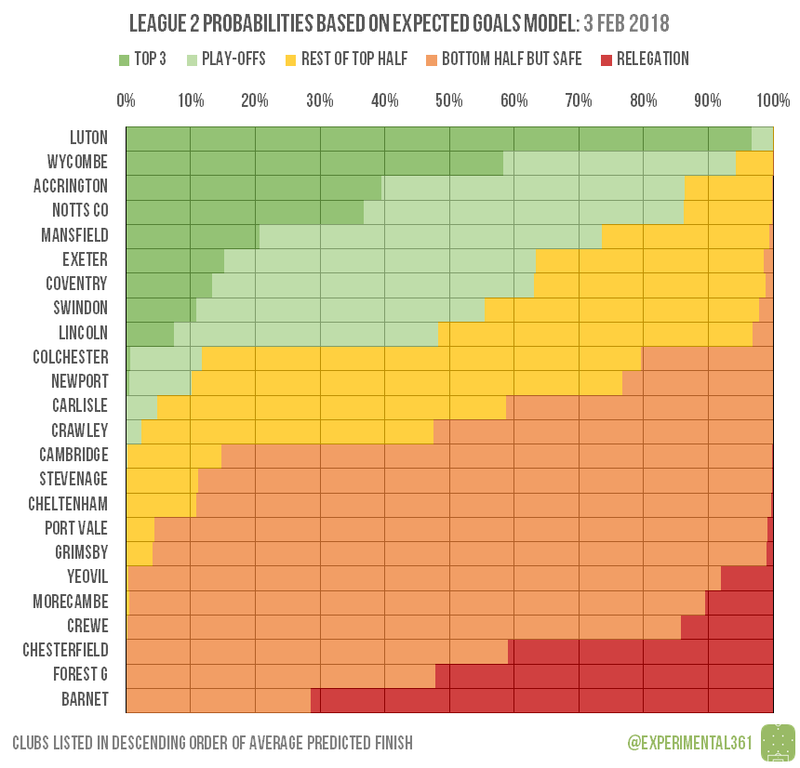 Luton continue to look nailed-on for promotion but Wycombe are hot on their heels: the Chairboys’ probability of a top three finish has risen significantly since I last ran the numbers. 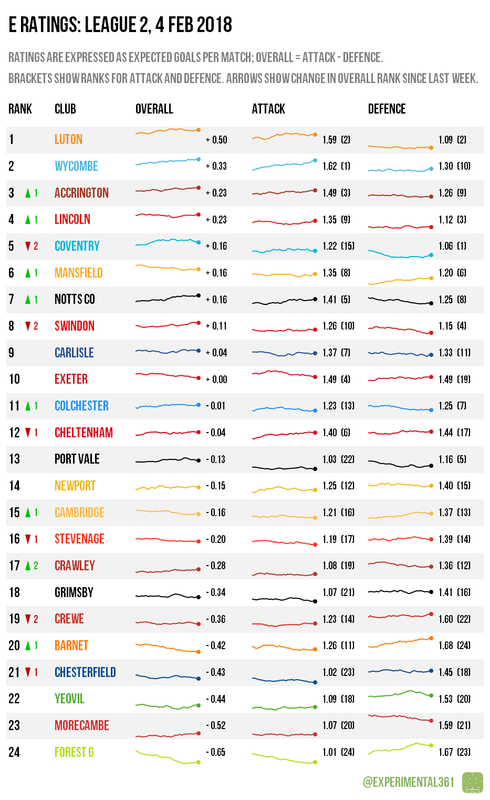 Coventry and Newport are the biggest losers, each looking around 1.4 league places’ worse on average after recent results, while Crawley look over 3 places better. Chesterfield are getting dragged into the relegation battle again thanks to their own poor results and improvements at Forest Green.